While we don't yet have a release date for the Gears 2 patch Chocolate Rein promised the other day, we do have a little more information, in the form of seven new achievements. They've recently turned up on Xbox.com, and appear certain to go live once the patch is released to the public. 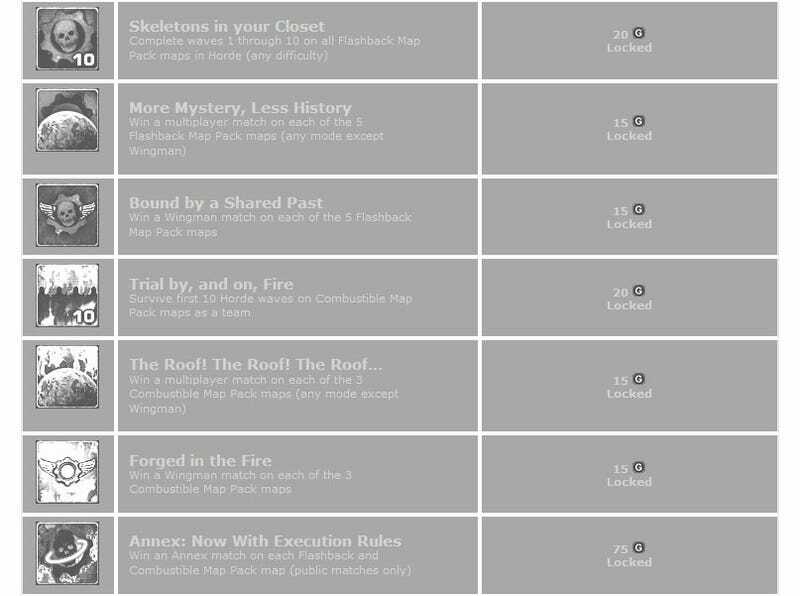 In all, there are 175 points up for grabs, with all seven achievements focused on the recent Flashback and Combustible maps.